And in the end it all turned out fine! But I must admit, sometimes I truly do wonder how it is that I can take a simple project and turn it into something so difficult! 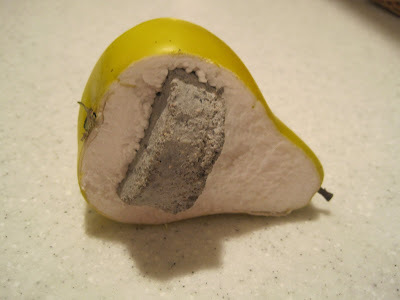 :) I was so nervous before cutting the pear, you would have thought I was about to perform brain surgery! I was afraid I'd mess it up, and I only had one of these large green pears! I snatched some up and bought them! 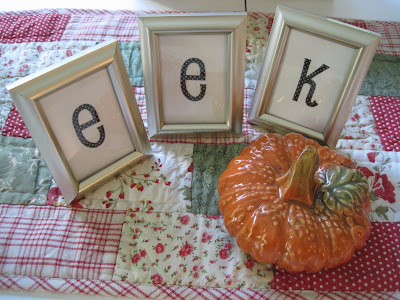 I was inspired yet again, this time by Wendy over at The Shabby Nest , with one of her lovely fall displays with white pottery on white shelves, with the letters "e-e-k" spelled out. SO, of course I had to "spell" eek too because it was just so darn cute! 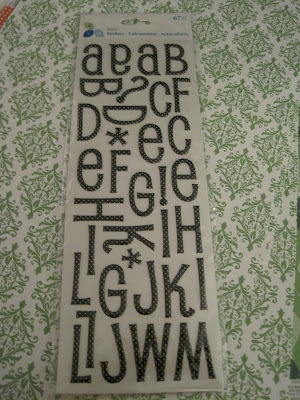 I just used simple white cardstock for the paper and stuck pn these cute sticky letters I found at Michael's. the new make over looks cool. i like the simple design and color. and your frame project as usual turned out nice. and the pear in a frame is fantastic! I love your new look! You have such a gift with crafty goods!!! 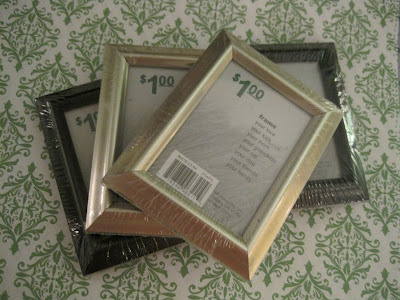 I might have to try out the "frame" art!!! I loved the framed pear and "eek"...how cute! I think your design is fitting for the coming winter months and is very elegant! I love the font she used for your title...its lovely. The pear project was too cute and I too had a wonderful time shopping for paper with you. See you soon! I love your new blog design! It's simple yet elegant! I'll have to look and see what she has. 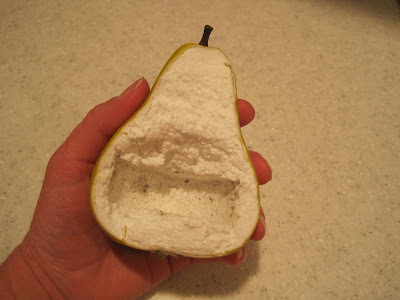 I loved Angie's pear project! It is cute! Your's turned out cute too. 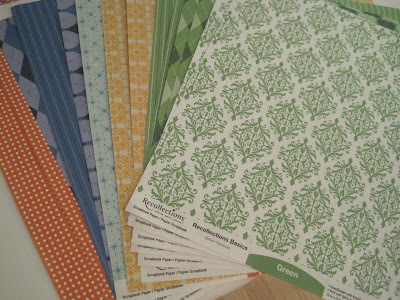 I don't know what we did before scrapbook paper! I LOVE your new blog look. 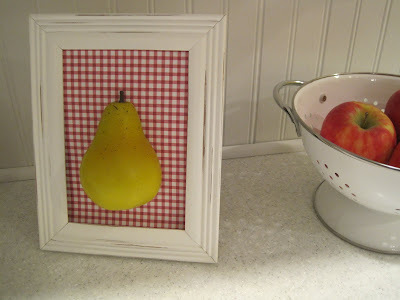 And I love the pear...perfect with the red check background. I got your question and I actually found my drapery panels at Fred Meyer. They have so many options and they have great sales!! That framed pear is really cute! Just jump in by posting this week's list on your sidebar. 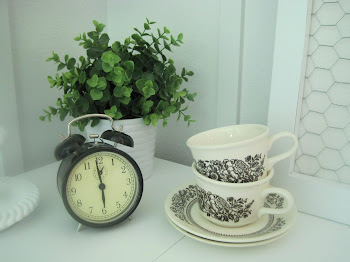 Most people do a post that they are joining and link back to my blog, but it's not a requirement. On Wednesday night I host a weekly party called Transformation Thursday, and it's the perfect time to show off your work each week. Hope you get lots accomplished!